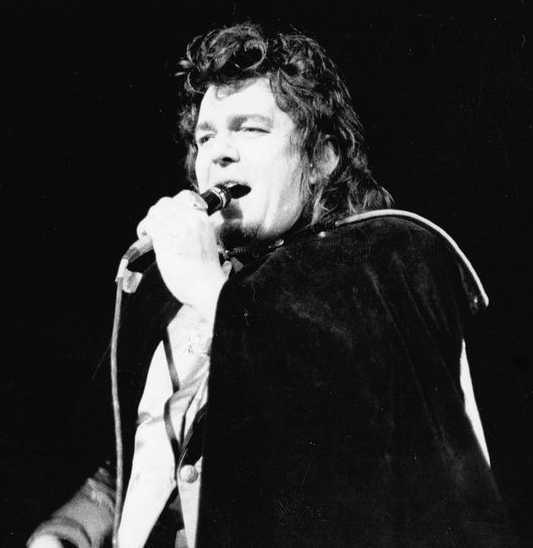 AMSTERDAM - One thing is sure: the group of Don van Vliet, who calls himself Captain Beefheart, can perform an impressive show. But as far as músic is concerned, the visitors at the Concertgebouw in Amsterdam last Saturday have been sent home with a rumbling feeling in their stomach. Grumbling with satisfaction, the 'captain' walked the stage in a red suit and wide cape for an hour and a quarter, now and then - unrecognizably because of the loudness - singing with his incredible Iwan Rebrof-type voice. At times he played a decent tune on his mouth organ, and once raved on his soprano saxophone throughout a song. That does not mean that the skill of the group members was below the mark. Now and then the solo guitarists surprised with not just virtuoso performed stuff. But uncomplicated musical enjoyment in fact wasn't involved once, and that's something which ruins even the most sophisticated act. Thought Beefheartian, the latter must have been intended that way, because in his appearance he rather is an effect crazy 'selfkicker' than an out-and-out musician addicted to playing notes as correct as possible. It was remarkable that nevertheless the audience in Amsterdam didn't give an ovation at the end and that the obligatory shouting for more did not take place. These sentences devoted to Beefheart had nothing to do with the group that played the support programme: the gentlemen Jan Florijn (67 years old) and Johan Strookappe (50) from a town called Vorden (in Twente), who played singing saw and accordion respectively, and brought a potpourri of tunes like 'De Bloemenwals [Flower Waltz]', 'Whispering Hope' and 'Nader tot U mijn Heer [Closer To You My Lord]'. A bewildered hall gave the two men, who played their repertoire without concern about the response it could evoke, ovation after ovation. And as if he was used to do it all the time, at the end mister Florijn just swung a little waltz on Ed Marimba's drum kit.